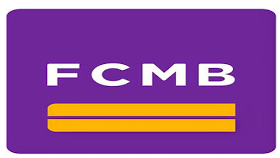 Are you banking with FCMB? Do you actually know that, you can carry out some banking activities with your mobile phones without going to bank? Today, I will be guiding you on how to check your FCMB account balance details with your mobile phone. Notice: For all Bank sort codes, SWIFT codes, payment of bills like GOTV, STarTimes, TV stations, internet services, checking of account balance, transfer of funds/money with Voters card from NIMC, update on Bank Verification Number (BVN), Activation of Mastercards, Verve, VISA Automated cards ATM, Quickteller to make money transfer to bank accounts in Nigeria, Domiciliary savings bank account for foreign currencies like dollar,USD Euro etc and many other self - services like opening bank account with mobile phone or handset, all has been updated in this blog via below link. So check the link if you don't want to miss out in any online and offline banking transactions. => All Banks Short USSD Codes for Money Transfers From Mobile Phone in Nigeria & Steps To Use. To check it, is very simple and easy, all you can do to check your account balance on FCMB via your mobile phone, is just by dialing this USSD code *322*214*0# and lo and behold your FCMB account details will display on your device's screen. √ Read Also: How To Get GTbank Internet Banking Without Going To The Bank. Note: The number you are to dial the USSD code on, is the line associated with your bank account, ( as in the one you used when registering for the FCMB account). The number must be active for your account details to be checked. The code works on all phones as long as the line inserted in that phone is associated with the registered FCMB account. I hope you found this guide post helpful, so you can let your friends know about it, by sharing with the below Facebook, twitter, and Google+ buttons. Do you have questions regarding to this post you can make use of our comment box below to ask it.